YA & Kids - FREE! Did you love bedtime stories as a child? 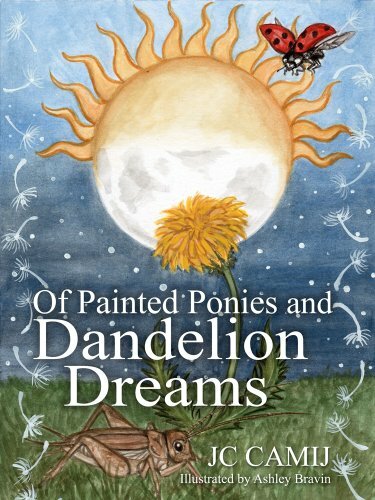 Then get your copy of, Of Painted Ponies and Dandelion Dreams, now. This collection of nine beautifully illustrated poems will make magical bedtime reading for the whole family. Books are portals, gateways where time and space cease to exist, and the words they contain cast spells transporting us into forgotten worlds of wonder. Take a moment now to reconnect with the childlike innocence that animates each and every one of us. He rhymed the runes of Rexadain. The word ‘lone’ of dark red smoke. Would not float into the skies. Never were again the same. Vexing words that spun him inward. Words are spells and wishes weighed. Always talk to, always play with. Longing for the misted morn of a fading, foreign land. Where rainbows sing in glowing rain. Left it all behind in sleep.